David McKinnon, age 67, of Essex, Iowa formerly of Clarinda, Iowa entered into peace Sunday, January 27, 2019 at his residence in Essex, Iowa following a valiant fight with cancer under the care of Veterans Hospital and the St. Croix Hospice Group. Services will be held at a later date. Inurnment will be held at the Blanchard Cemetery in Blanchard, Iowa. Memorials may be given in his name. Memories and condolences may be shared with the family on our website at, www.ritchiefuneralhome.com under Obituaries. Arrangements were entrusted to the Ritchie Funeral Home of Clarinda, Iowa, where we ‘Celebrate Life’. David Dean McKinnon was born in Clarinda, Iowa on January 23, 1952 to Robert Dean McKinnon and Emma Doris (Nance) McKinnon. He was a graduate of Clarinda High School, Class of 1970. He served in the US Army, and following an honorable discharge he was employed at several entities. His tenure with the early Clarinda Ambulance Service as an EMT-DMT was a high light of his career. His last employment was with the State of Iowa in the Cherokee Civil Commitment Unit, employed there until his ill health forced him into early retirement. David was an early Boy Scout leader while his sons were growing up. He was also a member of the Christian Church. He was married to Joy Lynne New. To this union three children were born, Michael Todd, Timothy Allen and Amanda Lynne. He later was married to Terri Sue Johnson. Her twin sons William Allen and Dustin Wayne were a part of this union. 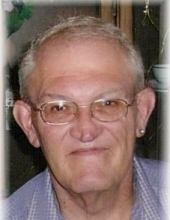 Preceding David in death were his wife, Terri Sue McKinnon on December 16, 2018; father, Robert Dean McKinnon on March 24, 2004; his maternal and paternal grandparents; a granddaughter, Haylie Sue Johnson in infancy; aunts Letty Clark and Bonnie Jackson; uncles, Johnnie Nance, Arnold Meyer, Lloyd Jackson and Jack Berlowitz and a large number of cousins. David is survived by his mother, Emma Doris McKinnon of Clarinda, sons, Michael Todd McKinnon (Nancy R.) and Timothy Allen McKinnon (Nancy J.) and daughter Amanda Lynne Holmes (Jason) of Clarinda; step sons, William Johnson (Chelsea) and Dustin Johnson of Essex, Iowa; mother and father-in-law, Wayne and Lois Johnson of Clarinda; brother-in-law, Tracy Johnson (Trina) of Villisca, Iowa; special cousins, Marsha Skalberg of Red Oak, Iowa and Wesley Meyer of Shenandoah, Iowa; aunts, Eula Meyer of Shenandoah; Betty Davis (Carl) of Shenandoah, Ruth Campain of Merriam, Kansas; uncles, Lonnie Nance (Wanda) of Nixa, Missouri, Bill Nance (Joyce) of Sun City West, Arizona and Dennis Nance (Sue) of Shenandoah; grandchildren all of Clarinda, Kourtney McKinnon, Noah McKinnon, Tyler McKinnon, Joshua McKinnon, Emma McKinnon. Cheyenne Holmes and Cora Holmes. David will be missed with his willingness to help others and his special sense of humor. "Email Address" would like to share the life celebration of David McKinnon. Click on the "link" to go to share a favorite memory or leave a condolence message for the family.